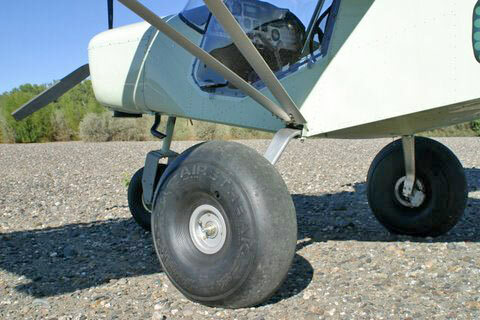 LANDING GEAR DESIGN: The standard tricycle gear also allows for excellent forward visibility while taxiing – an important consideration when operating the aircraft in off-airport environments. The heavy-duty tricycle gear system was chosen as the Cabin Angle / Rotation standard gear configuration for the STOL CH 701 to meet the needs of today’s pilots: Most pilots are not experienced ‘taildragger’ pilots, and a tricycle gear provides better stability and control on the ground. 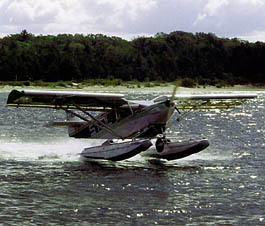 The STOL CH 701’s gear has been developed specifically for off-airport use. The direct linkage steerable nosewheel, plus differential braking, provide remarkably precise ground handling and steering.